Miracote MiraPatch DP is a thin-section, rapid-hardening composition that is flexible, resilient and easy to clean. MiraPatch DP produces an extremely durable, low cost, yet attractive appearance. 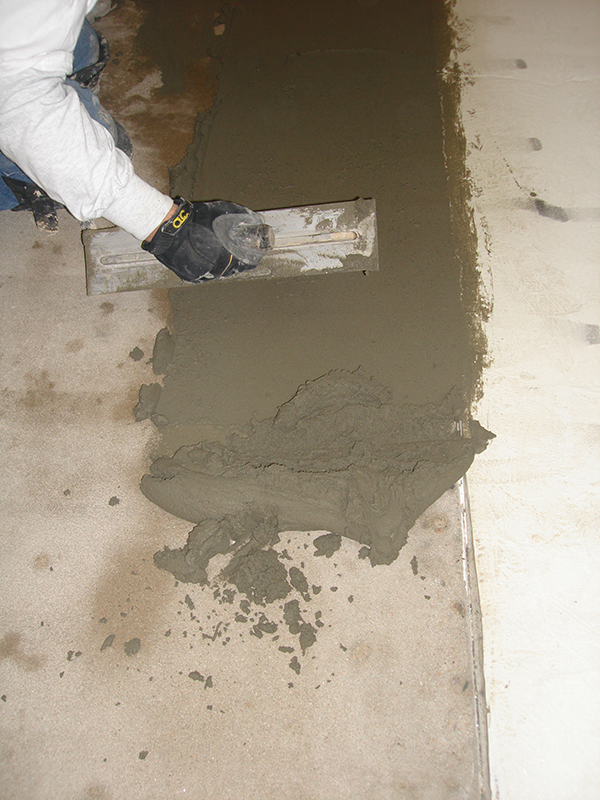 MiraPatch DP can be installed over concrete when pre-smoothing or pitch is required. Typical thickness up to 1 1/2 of an inch (38 mm) are easy to achieve. MiraPatch DP is light in weight and at approximately 1.2 lbs. per square foot. It can be used in the widest ranges of climates and is offered in slip-resistant profiles. MiraPatch DP is supplied as a light gray powder. Important characteristics of MiraPatch DP are its extraordinary adhesion coupled with its ability to withstand prolonged pedestrian and vehicular traffic. 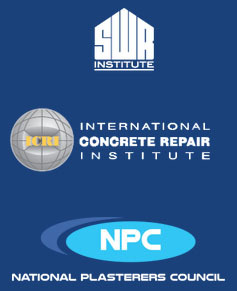 In these respects the material is far superior to conventional cementitious coatings used to resurface old or worn concrete. MiraPatch DP provides a tough retardant coating, which substantially reduces or prevents water penetration, freeze thaw, scaling and concrete carbonation. Faster cure speed in cold whether versus standard repair mortars. Cures rapidly, as low as 45° F.
Just needs water. Reduces mixing errors. Thickness above 1 ½ inch can be achieved by incorporation of pea gravel. Can be applied to vertical and overhead surfaces. Initial Set ASTM C266 2 hrs.